600 SMOOTH contains a special selection of oils, extracts, peptides and floral waters, which together help to promote collagen synthesis, maintain a firmer skin and smooth expression lines without needles or other surgical procedures. It’s quite active – you should feel some tingling and tightening of the skin from the first application!The smoothing effect it provides can be remarkable; so remarkable in fact, that some of our clients even refer to this product as a No-tox Botox, but our 600 SMOOTH does not paralyse facial muscles at all. By the way – if by chance you do happen to favour options such as Botox, you’ll be pleased to discover that 600 SMOOTH is so effective that you might get an extra month or two between treatments! Hibiscus seed extract contains botanical oligopeptides which efficacy tests by Laboratoires Serobologiques in France and Monash University in Australia have shown to reduce the mechanical factor responsible for expression lines, thus acting as natural “botox-like” ingredient. We also include wheat peptides that penetrate the skin’s surface giving repair and restructuring benefits. Together, these ingredients serve to improve and plump up the skin, thereby giving a smooth appearance without the use of needles or toxins. Certified Organic Bulgarian Rose Otto essential oil (Rosa damascena) is our luxurious signature ingredient. 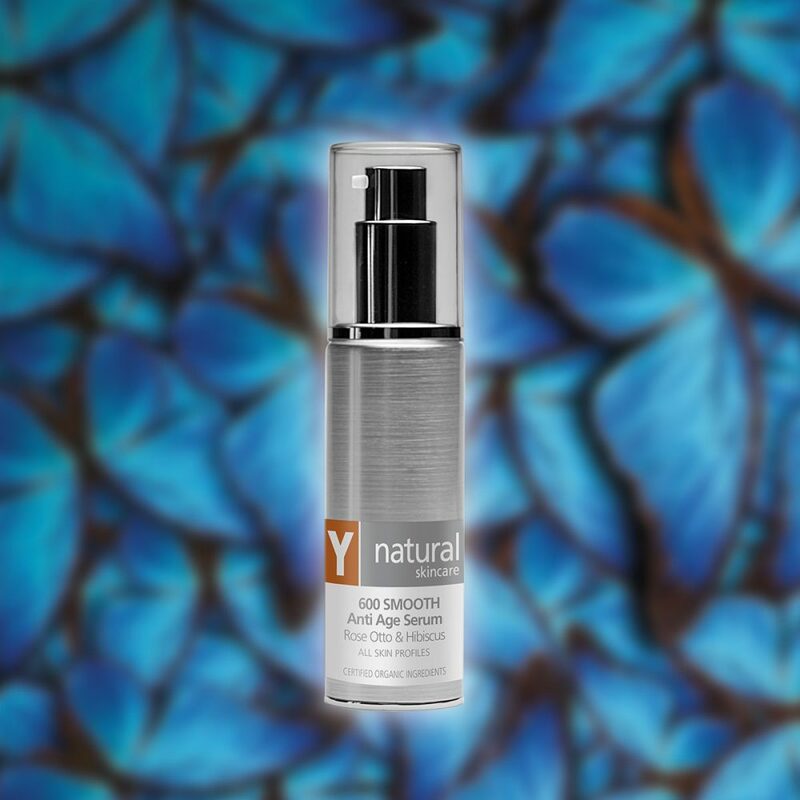 Although widely regarded as the ultimate anti-age oil, it’s beneficial for all skin types. It is used to help calm and soothe dry or inflamed skin and cupreous or broken capillary skin conditions. Certified Organic Rosehips oil (Rosa canina) is also regarded as one of the best anti-age oils, being particularly rich in essential fatty acids, beta carotene and Vitamin E.
Certified Organic Evening Primrose oil (Oenthera biennis) contains the essential fatty acids (EFA) gamma linolenic acid (GLA) and represent the highest quality of their type. A characteristic symptom of EFA deficiency in people is a high rate of water loss through the skin, leading to skin hardening, thickening and drying of the skin. Topical applications of EFAs can reduce this moisture loss giving a positive benefit in maintaining or restoring a healthy skin condition. Certified Organic Geranium oil (Pelargonium graveolens) is gently astringent, inducing a mild contraction of skin and thus helping skin to look smoother and firmer. It is also has gentle antibacterial and antimicrobial properties and is recognised as a cicatrisant (which means it helps in the healing of wounds and thus diminishing scarring). These properties make it beneficial for skin prone to acne, dermatitis, eczema and a number of other skin conditions. It’s also known for balancing properties for all skin profiles, cleansing for congested oily skins, for acne and regenerating for mature skin. This really is just the start of the special ingredients and the features and benefits of this stunning product. If you are keen to try it and discover for yourself why this is so addictive, you can add 600 SMOOTH to your shopping cart here.